After 8 years as a vegan, it’s always helpful to sit down and contemplate the true reason why I have chosen to live a lifestyle of least harm to living beings - humans and nonhuman animals alike. 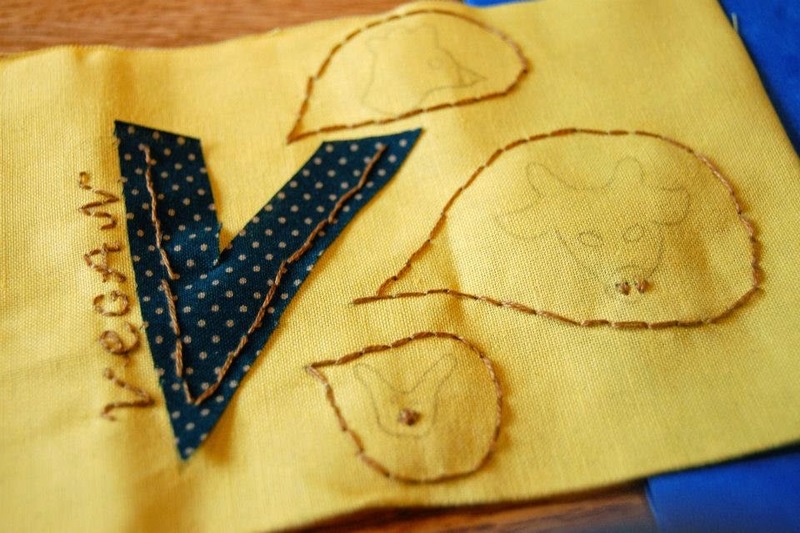 This was one of the things we discussed during the last vegan craftivism meet up for World Vegan Month in Lausanne. We, vegans, already know that veganism is the best for the environment, is against human starvation, against worker exploitation, the healthiest of diets, and first and foremost, the kindest lifestyle to the most abused, exploited, and slaughtered beings in our society. Even with all that, we sometimes need to take a minute to trike remind ourselves “why vegan?” in our very non-vegan world. This is where these banners come in. On Saturday, a small group of us met in a popular cafe to discuss and declare why vegan for nonhuman animals. It’s not as easy as you might think to capture our personal reason for our lifestyle in just a few words. These banners are a labor of love - a proclamation for those without a voice. 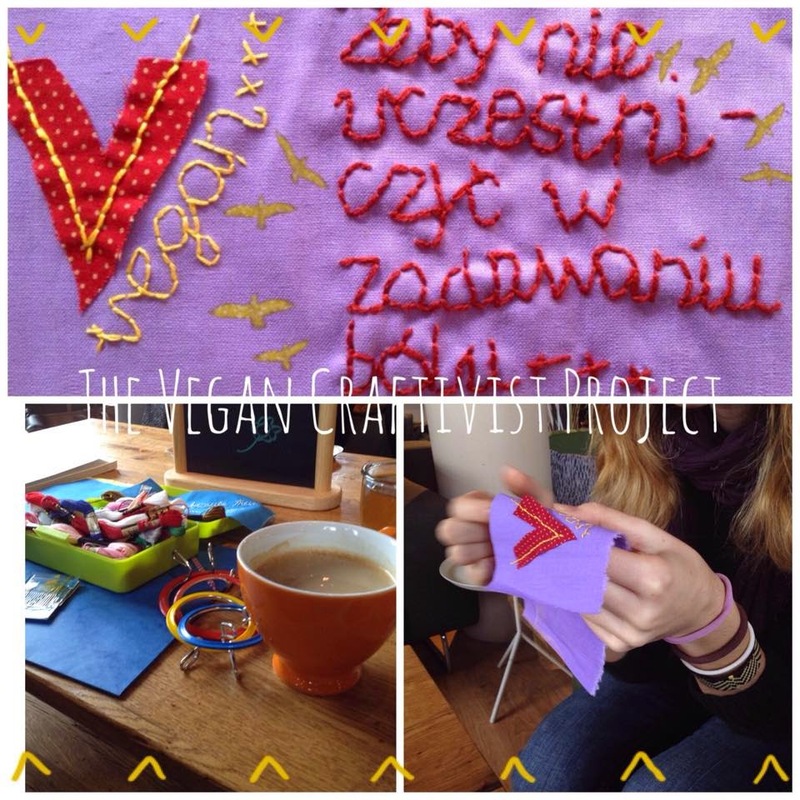 The latest banner was embroidered in polish and says “to live a life without causing pain.” This is just an example of what the The Vegan Craftivist Project hopes to accomplish - a reflection of each individual's reason for being vegan for nonhuman animals and to show nonvegan people why vegans do what they do - out of love, compassion, and kindness for ALL animals. 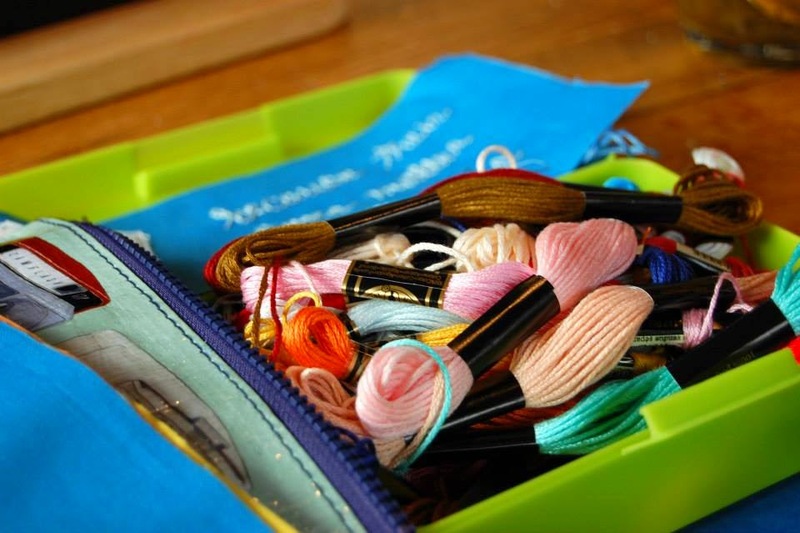 If you’d like a vegan craftivist kit (free!) and/or to hold your own meet up, let me know! Thanks to Malgorzata (creator of this banner) & Luisa (thasnks for your lovely photos - we look forward to seeing your finished banner!). It was an enlightening chat and meet up!